Figi's®A+ Snack Selection. Something for everyone in this treat-laden mix. High marks on this gift for the pleasure it most certainly will bring. 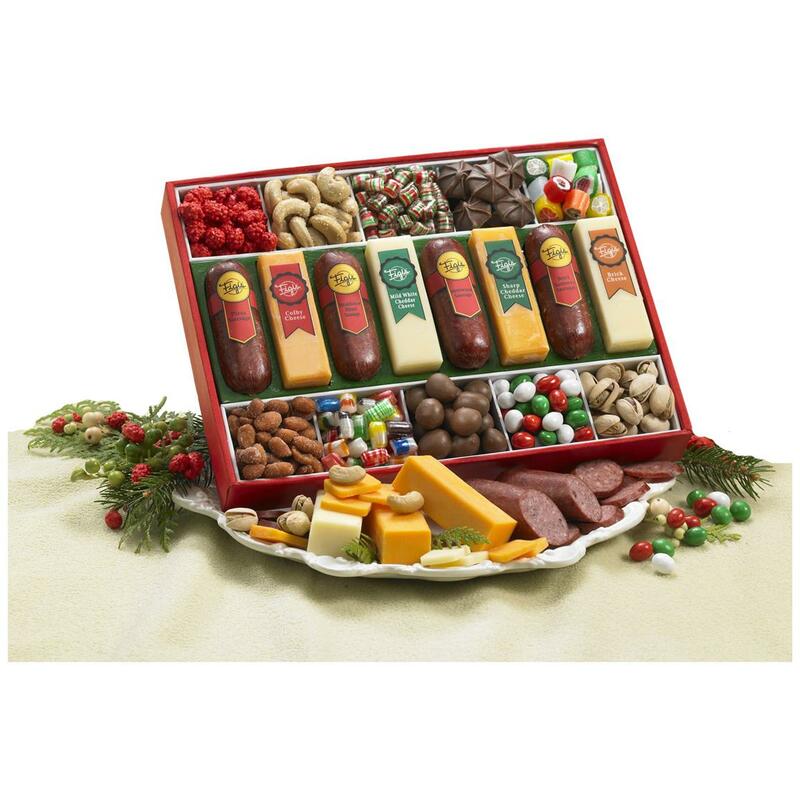 10 Snacks, including assorted nuts, dairyland cheeses and festive candies. 1 lb., 10 ozs.